Roo loves Peter Rabbit. I think she relates to his mischeviousness and constant snack lust, although I wish she was more interested in fresh produce. 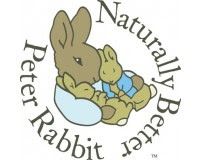 Want to win your own Naturally Better™ Peter Rabbit? Stop by Did You See That? 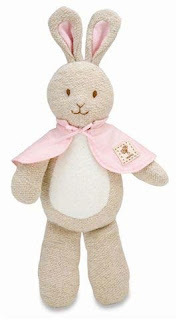 to win your choice of bunny. I'm on my way over!!! Thanks for the post!!! And by the way... your kids are absolutely ADORABLE!!!!! Those bunnies *are* cute! 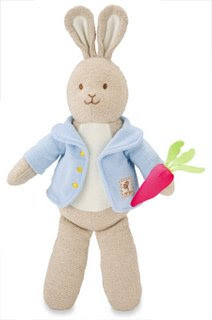 I love stuffed animals/toys based on classic books.